Email or Call Airmaster propellers (or a registered reseller) and outline what aircraft and engine you have, and what you want to achieve be use of the propeller. We will let you know what options we can offer and what benefits you can expect. Provide your details for us to fill out an order request. Typically we will want to know your contact details, delivery details, aircraft and engine details and the type of propeller you have chosen. We have a form that can help in the collection of this information. Airmaster will take the information you have provided and make up an official order for you. This will lay out clearly all the details of what has been ordered, how much it will cost and where it will be delivered to. You will also be given an estimated shipping date. Once you have checked that the details on the order are correct (address etc), sign and fax the order confirmation back to Airmaster. 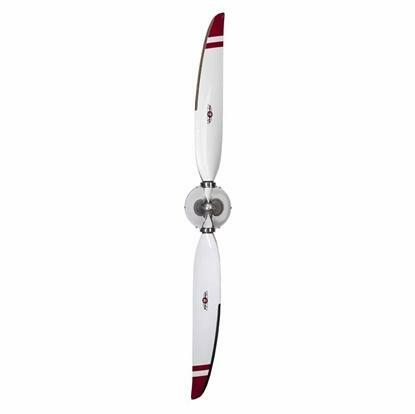 With the order confirmed, Airmaster will create your propeller as requested. This part of the process takes ~2 weeks. 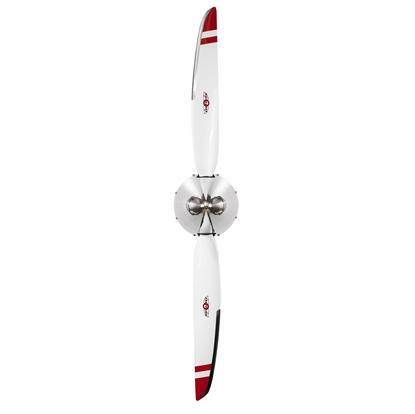 Although the main components are held in stock, since each propeller is a unique combination of hub, blades, spinner etc, each propeller must be finally assembled to the specific customer requirements. As the propeller nears completion, Airmaster will issue you with an invoice for payment. This may be made by international bank transfer. There will be instructions on how to do this printed on the invoice as shown. Once funds are recieved, your propeller will be shipped by UPS courier to your door. This will take 2-5 days depending on your region. The delivery process can be tracked on the UPS web site. http://www.ups.com/tracking/tracking.html You should also recieve automatically updates from UPS at the email address you provided on your order from. The delivery service used is a full service, so delivery has been arranged to your door. In some countries there may be additional fees to pay to the relevant authorities (local taxes or import duties). This can usually be arranged through UPS but you may wish to check your particular situation here.